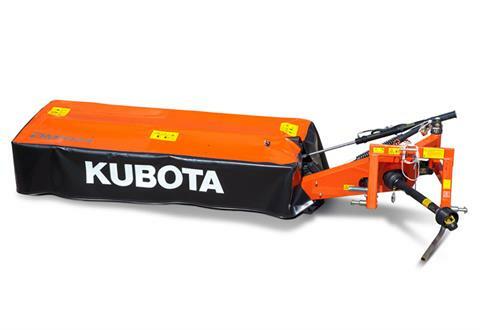 FULLY WELDED CUTTERBAR: Kubota’s DM1000 Series features a heavy-duty Kubota cutterbar, which is designed with easy maintenance and quiet operation in mind. The fully welded Kubota cutterbar with overlapping C-channels makes for a very stiff and strong design, ensuring a high level of durability. The cutterbar’s design, with machined gears and large bearings along with low oil requirements, allows for a low working temperature for efficient oil cooling and lubrication of the entire cutterbar. SPRING LOADED BREAKAWAY: When an obstacle is encountered, the DM1000 series swings backwards to protect the cutterbar; by reversing, the mower is reset into working position. 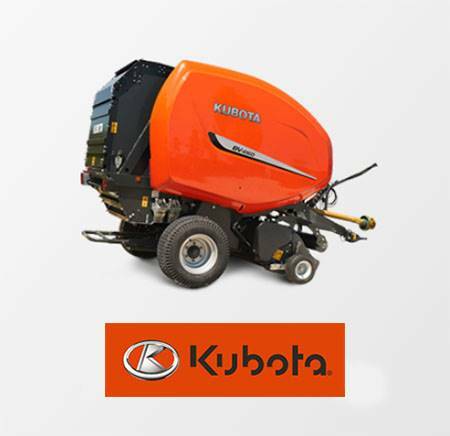 FAST LIFT ON HEADLANDS: The mower is easily lifted via a hydraulic cylinder without activating the tractor’s 3-point linkage. This causes less wear on the tractor and the machine, as the PTO stays in the same position, minimizing vibrations in the transmission.